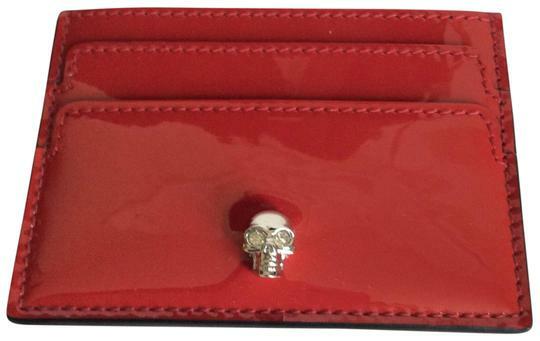 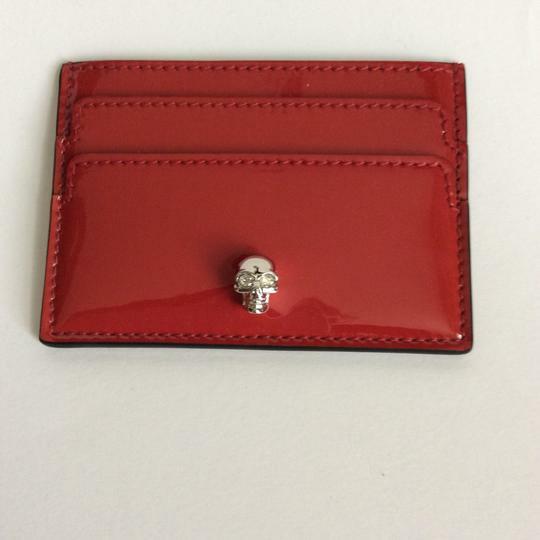 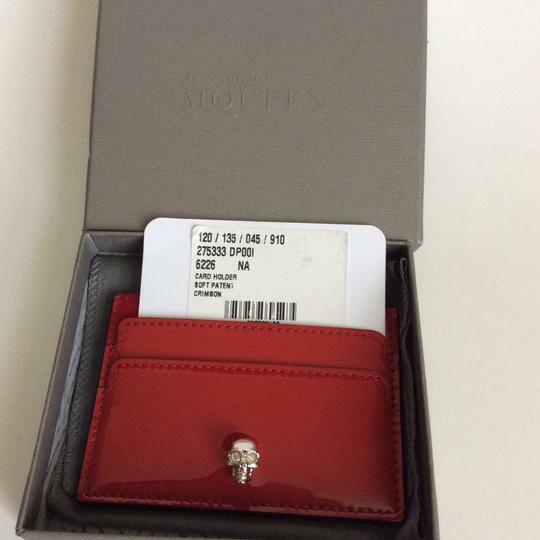 New, Authentic Card Holder in Red glossy leather. 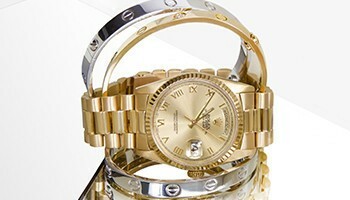 Silver tone Logo Skull on the front. 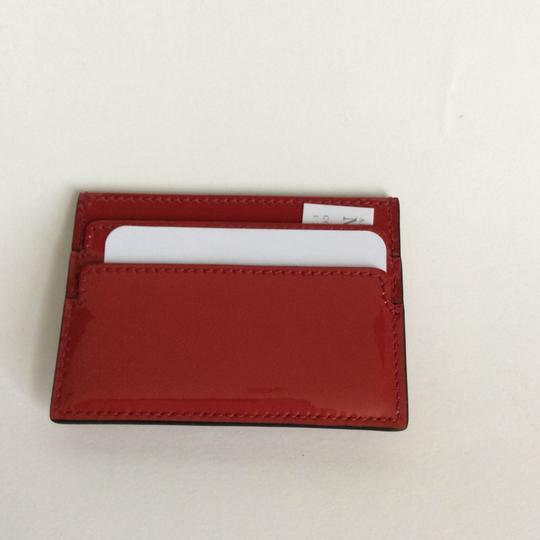 2 Card Slots on each side and one in the middle.